Creating the Food Blog theme also gave me the opportunity to test drive WordPress plugins for food bloggers, and I’ve compiled my favorites into this post. As I do in all my plugin posts, I want to stress that you should always look to minimize the number of plugins you use and test extensively before adding new ones. 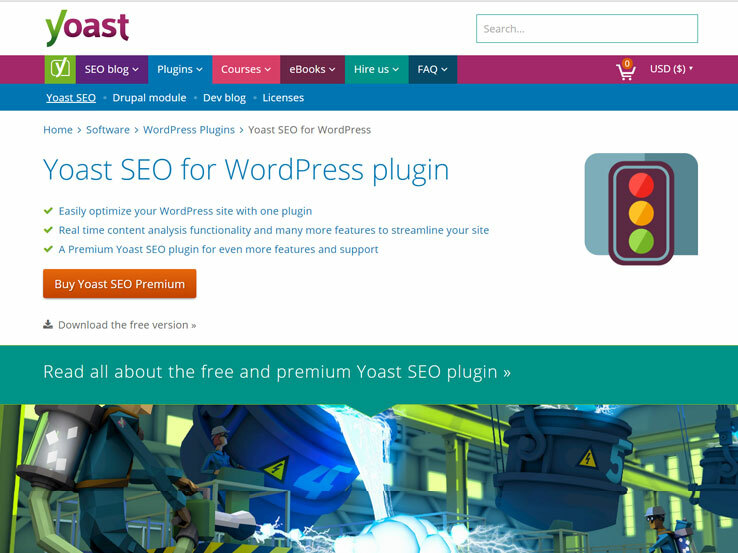 Plugins can conflict with each other or with your theme, and these issues can bring your website to it’s knees. 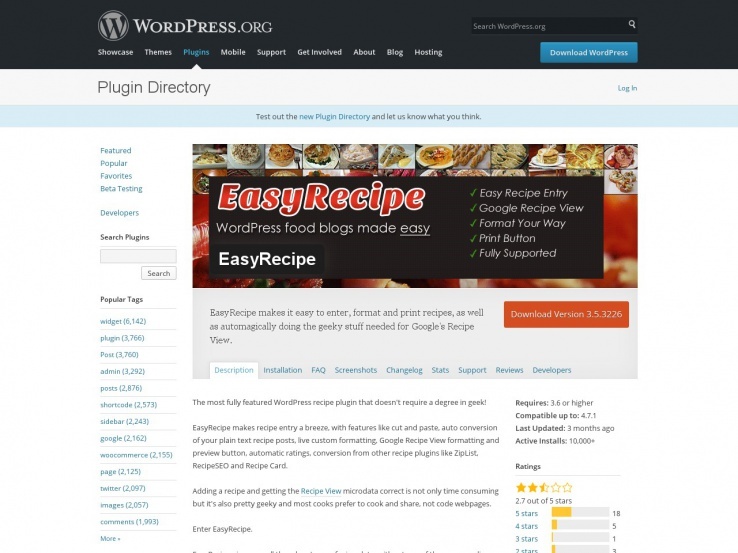 Easy Recipe is the most prevalent plugin for deploying recipes in the food blogging community. It’s feature rich and has a large user-base which always reassures me that the plugin is going to be maintained. Sadly I don’t think this plugin has the level of polish on the output end that Recipe Card does, so you’ll need to know how to hack and style the markup if you want your recipe to look beautiful. There are a lot of plugins like this out there, but I like that this one has a wide user-base and has been regularly updated. Talking to food bloggers, I heard over and over how important Pinterest is in driving high volume traffic. For most, it is the second largest source of traffic after Google search. This plugin will make it easy for your readers to pin your content to their boards. 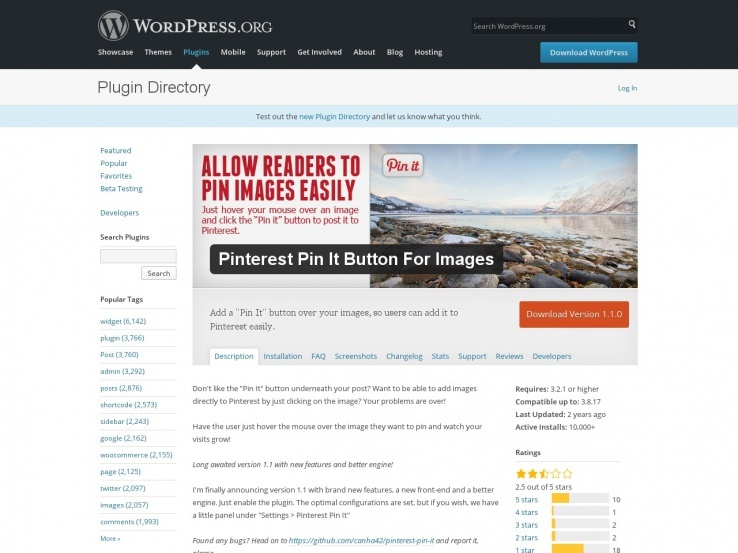 The AddThis plugin is a great companion to the Pinterest Pin It Button For Images plugin. It provides a way for your readers to share your content on all the major social media platforms. We’ve talked before about the value of Pinterest in driving traffic but remember that all your social media site will play into your ability to market your secondary content. The NextGEN gallery has been around forever. It’s a great tool for setting up thumbnail galleries that open into shadow boxes or unique content pages. It’s a bit bulky but is well maintained and has a gazillion bells and whistles, so you’ll look past the bloat. 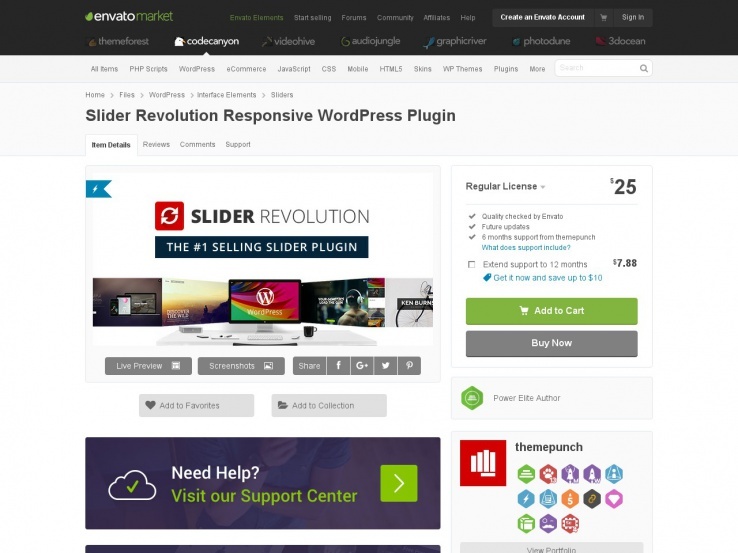 Slider Revolution is an uber popular slideshow plugin that supports all kinds of content and allows you to create complex and dynamic slides. Unfortunately, it’s very complicated so make sure you have some time set aside to play with it. I think the best part of this plugin is the ability to mix video and image slides and overlay both with moving titles. There’s tons of potential for using this plugin on a food blog or recipe website as you can place slideshows anywhere in your content using shortcodes. 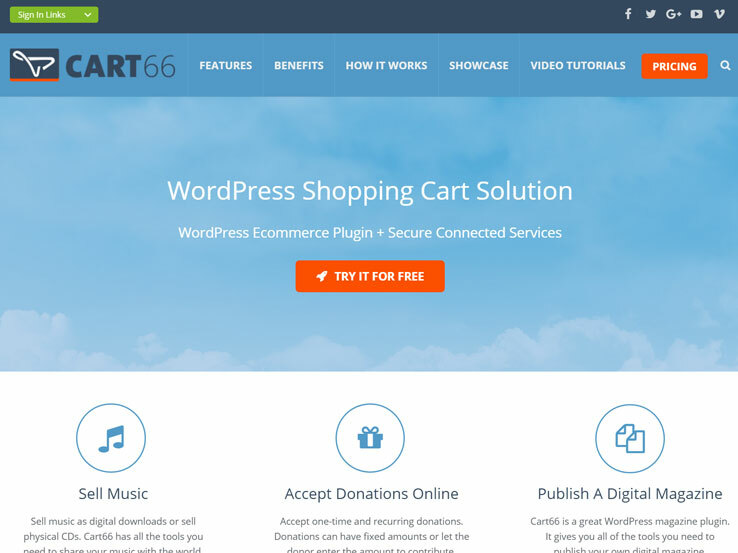 When it comes time to start selling content or secondary products on your blog you should look to Cart66 Cloud. We use it to power the eCommerce side of this site and strongly recommend it. There are other great plugins out there, but none provide the ease of use and security that Cart66 Cloud does. It supports all kinds of business models including ongoing subscriptions and digital downloads. This is the perfect platform for selling cookbooks, photos, or anything else you can think of. If you want to take food orders online, then WooCommerce is the perfect platform, with the WooCommerce Product Table plugin you can display your menu in a user-friendly grid. You can choose which columns display in the tables and divide up your products with a different table for each category (e.g. starters, main courses, desserts). 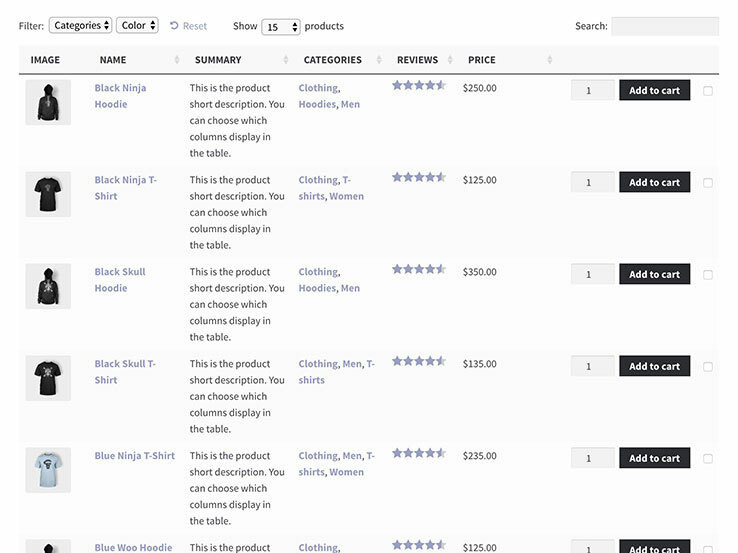 Customers can search, sort and filter the tables to find the foods they’re looking for. They can then add foods directly to the cart from the one-page order form. SEO is really important, but you shouldn’t have to stress out about it. This plugin provides all the tools you need to polish up your meta tags and title. It’s easy to set up and provides some guidance on a post-by-post basis about how well your SEO is configured. This plugin is a most have! 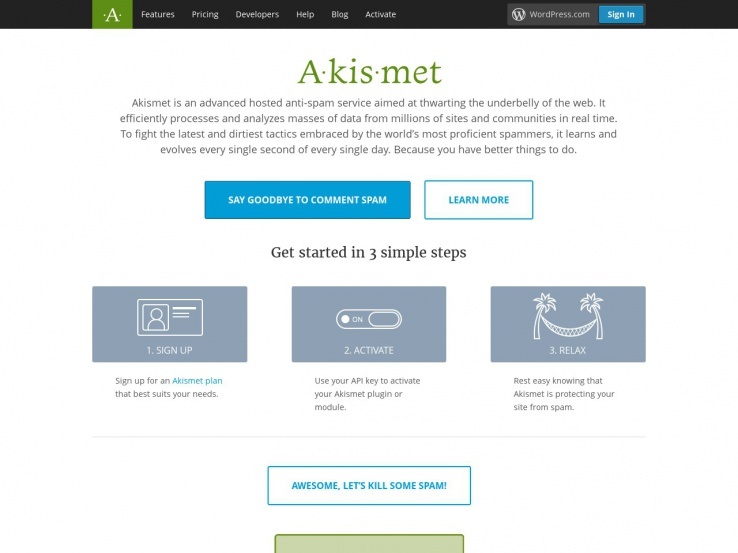 It won’t take long before the spam robots find your blog and Akismet is the only effective way to combat comment spam. You’d be amazed how many male performances and designer watch comments you can get in a day and there’s nothing worse than having to sort through hundreds of them to find your legitimate readers comments. 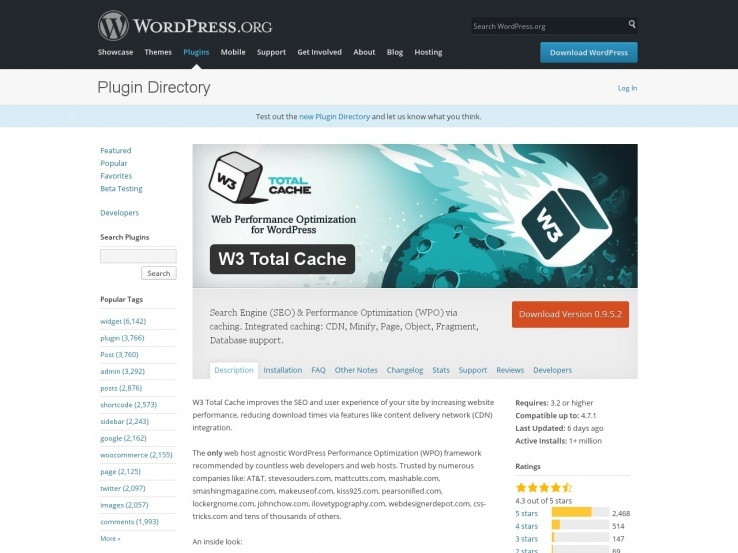 There are two players in the WordPress caching arena, W3 Total Cache, and WP Super Cache. I’ve used them both many times over the years, and in the end, W3 Total Cache is a better option for most circumstances. It offers more features, had been more stable in my experience and seemed to provide faster load-times. The one caveat is that anyone using a WordPress multi-site will need to go with W3 Total Cache. Cloudflare is not a plugin, but it’s so important that I have to include it on this page. Cloudflare is an online service that you can place between your web server and end-users. It acts both as a firewall keeping out unwanted bots and a content delivery network (CDN) to superpower your blog. If there is one thing you take away from this post, I hope it is to use Cloudflare! Great overview and there are definitely some plugins in this list that everybody should know of. I was wondering if you came across WP Ultimate Recipe while doing your research and what you think of it. We aim to create the best recipe plugin possible so any feedback is welcome! Hi Brecht, \n\nThanks for posting this. I’ll take another look. \n\nI you want to me check out the pro version you can reach me at magazine@nimbusthemes.com. Please let me know what you think. Thank you Evan! 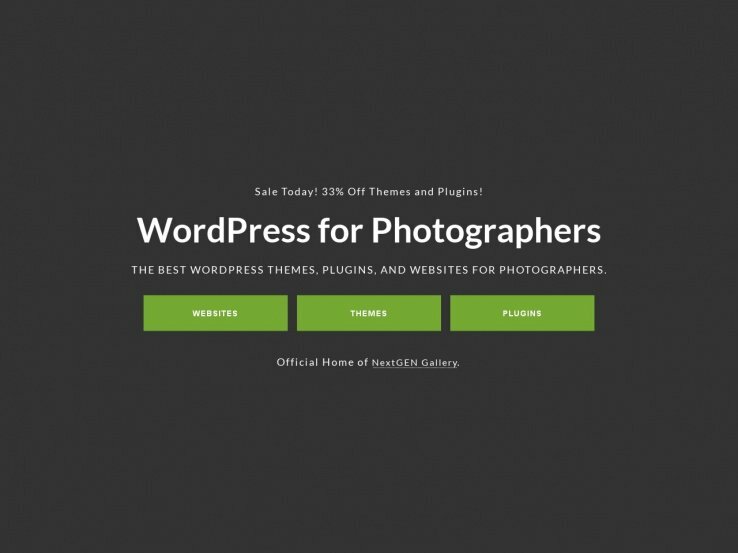 This is a great list of Awesome WordPress Plugins! I really like “W3 TOTAL CACHE” but, in your list are more plugins that I want to test in the near future. Thanks for publishing this list and keep up the good work! Hi Evan! Interesting blog you have here. Great help. Thanks! Those are some nicely compiled list of plugins that every blogger must have. I just feel you must also include “jectpack” as that is very much important to me. 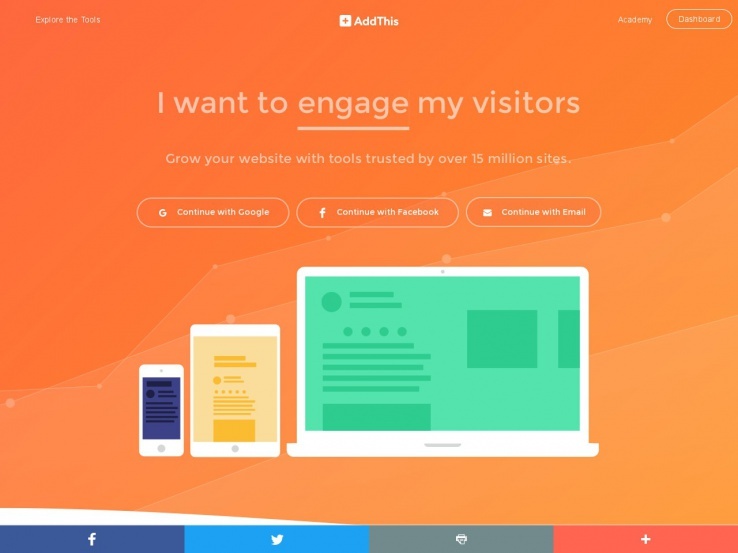 It help me track visitors, downtime and many other things over my website!! I’m about to start a food blog and this has been very helpful! Great post thanks a lot! Thanks for the recommendation, we will check it out. Thanks for pointing this out! We actually needed to take down Yumprint’s Recipe card, because the plugin no longer works. 🙁 I appreciate you taking the time to reach out.